Treaties are so fundamental to the lives of Native Americans and their nations in the United States and Canada that life without them would be difficult to imagine. Most contemporary issues, from land claims to resource ownership to gambling permits, are rooted in laws that derive much of their sustenance from such documents. Treaties are, therefore, vibrant documents that define important issues in our time. This book is an attempt to maintain a national conversation on the treaty basis of important contemporary laws and issues. While the texts of such treaties have long been available, discussion and other annotation in a context that gives them contemporary meaning has been scarce. 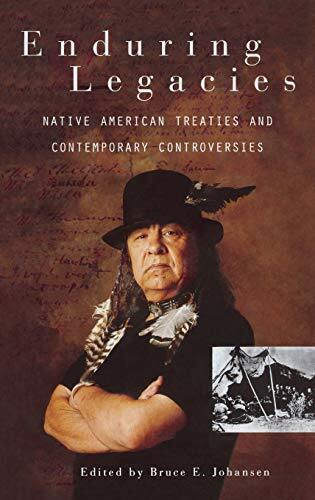 This collection of essays by experts in Native American history examines these historic agreements in light of recent and ongoing controversies. Claims to ancestral land bases are one prime example: the Canandaigua Treaty of 1794 provides a context in which to address the Onondaga's claim to most of the Syracuse urban area. Treaties provide the bases for events such as the modern-day rebirth of the Ponca Nation in Nebraska more than a century after a bureaucratic error resulted in banishment from ancestral land. One chapter explores why the U.S. Army still officially regards tragic events at Wounded Knee in December 1890 as a battle, rather than a massacre. Another reveals how treaties and laws have been used to retain and regain gas and oil resource ownership. Still another expert examines why so much energy has been expended over the fate of 9,300- year-old bones that have come to be called Kennewick Man. The first book to address the present-day implications of Native American treaties as they apply to land claims (such as two-thirds of the state of Maine); retention of natural resources (such as oil and gas); and the proper use of the massive profits from gambling enterprises. BRUCE E. JOHANSEN is Professor of Communication and Native American Studies at the University of Nebraska, Omaha. He is the author of numerous works including The Global Warming Desk Reference (2001).